Yayyy!! I was able to download a copy : ) Thank you so much! I can’t wait to read it! TY! Great, Shelley, let me know what you think! Is this biographical? I wanted to see the artwork – or is this a novel? 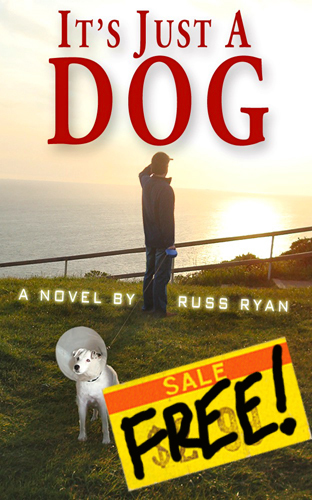 It is a novel–but if it’s any consolation, I’ve always been a big fan of dog-themed artists, such as George Rodrigue (The Blue Dog artist), William Wegman, and Jeff Koons. Google them! So sorry to hear about your loss, Debbie…Sounds like you had a great 17 years w/your Pomeranian! I know it’s an incredibly difficult process, but these dogs stay w/us forever. Nobody can take that away from us!